Science fiction and fandom have been intricately linked since the beginning of the genre when Hugo Gernsback, editor of Amazing Stories, made room in his magazine’s for his readers to write letters in response to the stories, which he would then publish in a special letter column. What facilitated fan activities even more though was the fact that Gernsback also printed the fans addresses, who immediately started correspondence with other fans. Thus emerged the first fan clubs, fanzines and later fan conventions of science fiction. But fandom and science fiction are also linked through public perception and cliché. Many a joke and/or pop cultural reference has been made about science fiction fans, epitomized in the (in-)famous Trekkie, as a somewhat nerdy (in the 2010s not quite as much of a pejorative judgement as it was in the 1980s), white young adult with inadequate social skills. Fortunately, the stereotype – untrue from the start of Star Trek-fandom – has become contested by a large academic interest in fan studies revealing the amazing networks of social interaction, cultural production and artistic expression that drives fandom(s). This lecture provides an overview of science fiction fandoms, both historically and contemporary in all its many, rich facets: from cultural production to fan activism for civil rights. 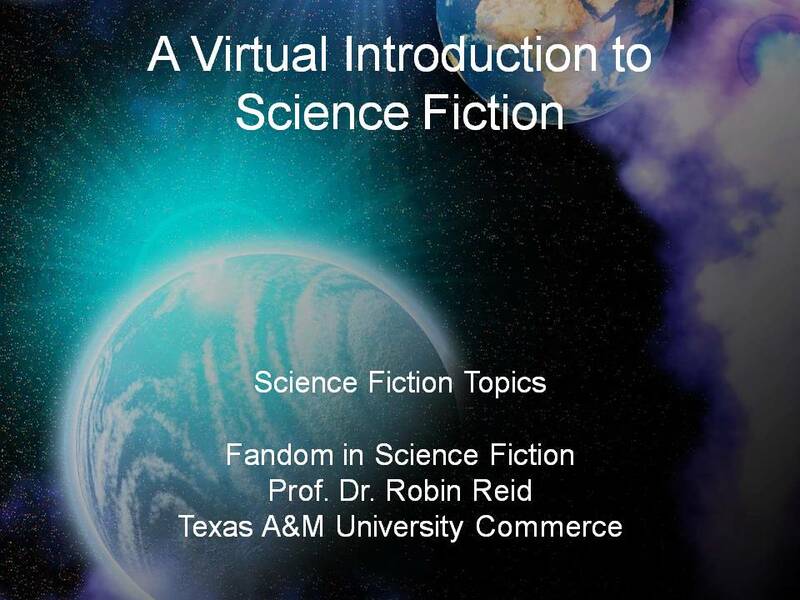 This selected bibliography of “Fandom in Science Fiction” has been compiled by Prof. Dr. Robin Reid. For download please click here: Fandom Selected Bibliography. A number of the major science fiction authors who were active in what is called “The Golden Age” of Science Fiction have published personal memoirs. The common element among these memoirs is that the authors were fans who also became published sf authors, so could in some cases publish with authors, rather than self-publishing in fandom. Sam Moskowitz: The Immortal Storm: A History of Science Fiction Fandom (1954) . Harry Warner, Jr.: All Our Yesterdays: An Informal history of Science Fiction Fandom in the Forties (1969) . Harry Warner, Jr. Wealth of Fable: An Informal History of Science Fiction Fandom in the 1950s (1976, mimeo, Fanhistorica Press) . Damon Knight The Futurians: The Story of the Science Fiction “Family” of the 30s That Produced Today’s Top SF Writers and Editors (1977). Judith’s Merrill’s Better to Have Loved: The Life of Judith Merril (2002) was edited by Emily Pohl-Weary, her granddaughter. The NCF Guide to Canadian SF (2003) can be found here. Fanlore is supported by the Organization of Transformative Works, a non profit organization created and run by fans. 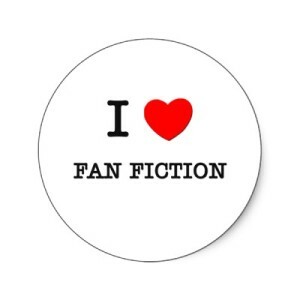 Fanlore is an excellent source for basic information about many elements of fandom. The Pulp Magazines Project hosts the Digital Archives Hub. This is an “an open-access digital archive dedicated to the study and preservation of one of the twentieth century’s most influential literary & artistic forms: the all-fiction pulpwood magazine (About the Project). The Cushing Library Science Fiction and Fantasy Research Collection, Texas A&M University. An online library resource is the Fanzine Archives which archives and loans out fanzines, many of which are available on the internet. Reid, Robin. “Fandom in Science Fiction”. Video Lecture. A Virtual Introduction to Science Fiction. Ed. Lars Schmeink. Reid, Robin. “Fandom in Science Fiction”. A Virtual Introduction to Science Fiction. Ed. Lars Schmeink. Reid, Robin and Lars Schmeink. “Fandom in Science Fiction”. Web Page. A Virtual Introduction to Science Fiction. Ed. Lars Schmeink. Web.